Six Spider-beings? There are way more than that. “Meanwhile in another universe.” Those four words at the end of Venom may have changed everything when it comes to Spider-Man movies. By shifting out of Venom’s universe and showing a scene from Spider-Man: Into the Spider-Verse, the filmmakers and studio made it abundantly clear that Venom and Into the Spider-Verse are both happening in the same multiverse. 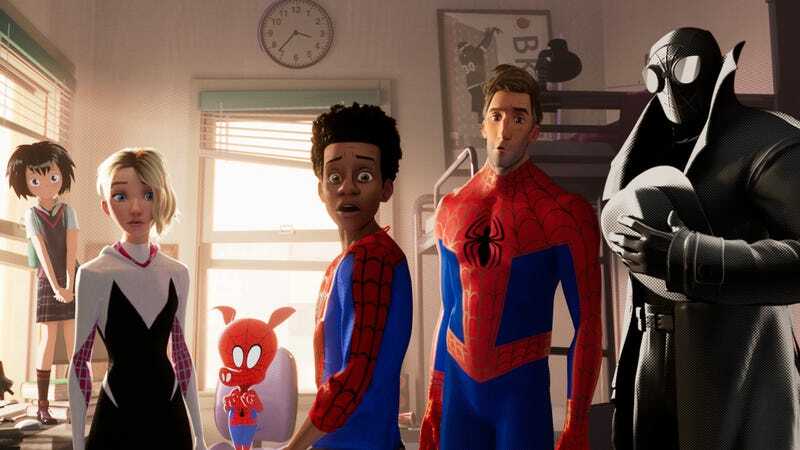 Into the Spider-Verse’s universe has Miles Morales (Shameek Moore) being mentored by an overweight Peter Parker (Jake Johnson) and teaming up with four other Spider-beings from four other universes—all together, a multiverse. It makes the fact that there have been three other people playing Spider-Man in live-action over the past 16 years actually make sense. Tobey Maguire, Andrew Garfield, Tom Holland, Jake Johnson, Shameek Moore, Hailee Steinfeld, Nicolas Cage, Kimiko Glenn, John Mulaney—they can all be Spider-Men or Women or Pigs in alternate dimensions, simultaneously. Some are live-action, others are animated; in one of those universes Thanos killed half the galaxy, another one had Jamie Foxx as Electro, there’s a Topher Grace Venom, a Tom Hardy Venom, etc. 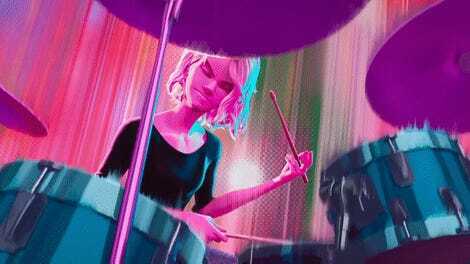 Into the Spider-Verse makes everything that’s happened behind the scenes in our world, as well as on screen, work in the Spider-Man universe canon. If the filmmakers want it to be that way, of course—which is a fact that producers Chris Miller and Phil Lord were well aware of. Producers Phil Lord and Chris Miller make a Spider-Man (Shameek Moore) sandwich. 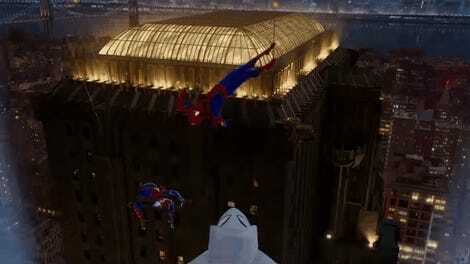 But were any of those endless possibilities going to end up in Into the Spider-Verse? We won’t spoil it since the film has yet to be released, but even things that don’t happen in the movie were on the table, and may still be. “We talked about everything,” Miller said. “Everything’s been discussed,” Lord added. “Every possible scenario has been debated and discussed on this movie,” Miller concluded. But you gotta wonder: How far did those discussions go and did any of them end up in the movie? There are a lot of Spider-beings out there, Miles, you are just the center of it all. “You got to leave something for the future,” Lord concluded. So, from the news that’s broken in recent days of more movies in the animated Spider-Verse, events in the film itself, and yet another Spider-Man movie mere months away, that future is looking mighty bright for web-slinging heroes. Spider-Man: Into the Spider-Verse hits theaters December 14. The film that teased it, Venom, will be released digitally December 11 and physically on December 18.